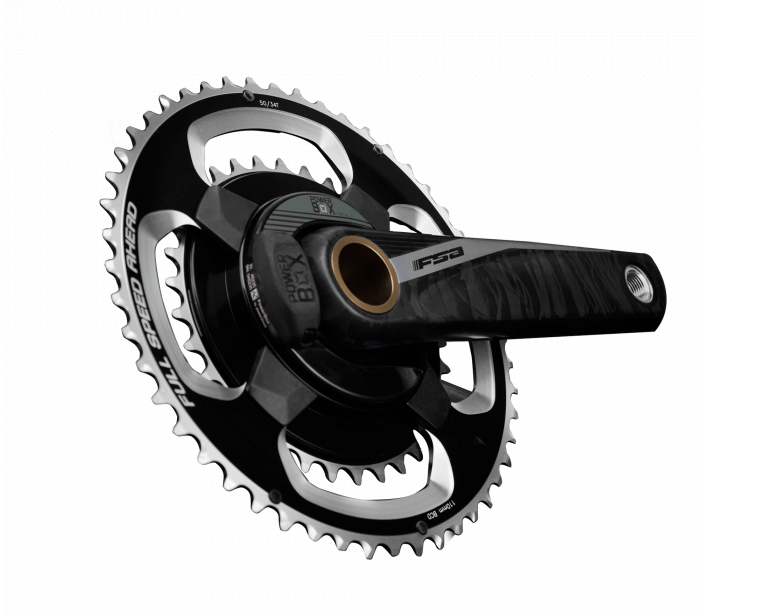 The FSA Road PowerBox Carbon Crankset Power Meter is a crank-based power meter, with single-leg power being measured at the spider. Specifically, it uses Power2Max’s proven spider design. The FSA PowerBox Carbon uses FSA’s 7075 aluminum 110 mm BCD chainrings, FSA hollow carbon arms and a BB386EVO 30 mm spindle. The power meter uses a CR2450 battery (which is very easy to replace), gets approximately 400 hours of battery life and is accurate to within 2% (industry standard). 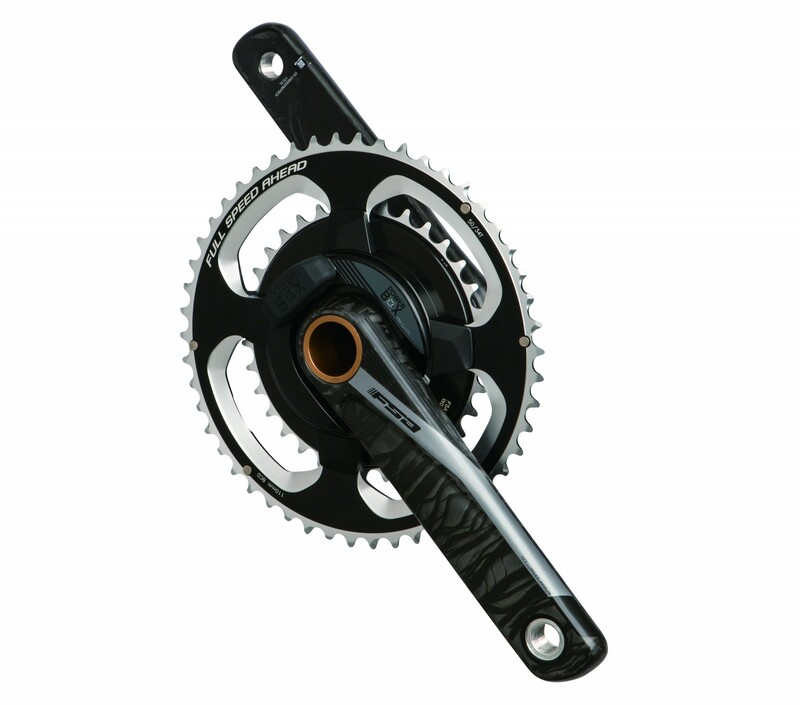 The result is an accurate, extremely versatile power meter that comes with top-notch FSA chainrings and crank arms, and costs of fraction of the price of other, crank-based power meters. The FSA Road PowerBox Carbon Crankset Power Meter uses a BB386EVO 30 mm axle. This makes the power meter compatible with virtually every frame set when used with the correct bottom bracket and spacers. The chainrings are compatible with Shimano 10- and 11-speed groupsets, SRAM 10- and 11-speed groupsets and Campagnolo 10-speed groupsets. This allows you to use a wide variety of chanrings.